Goat Yoga Texas owner and instructor Kimberly Brooke with Sunny. "Hi! Want to try goat yoga?" the message from Goat Yoga Texas read. That's how I ended up in Cypress with two coworkers on a 102-degree Sunday afternoon while city officials broadcast heat advisories. An email that morning from Goat Yoga Texas owner and instructor Kimberly Brooke advised us to hydrate before class. I chugged a Red Bull. 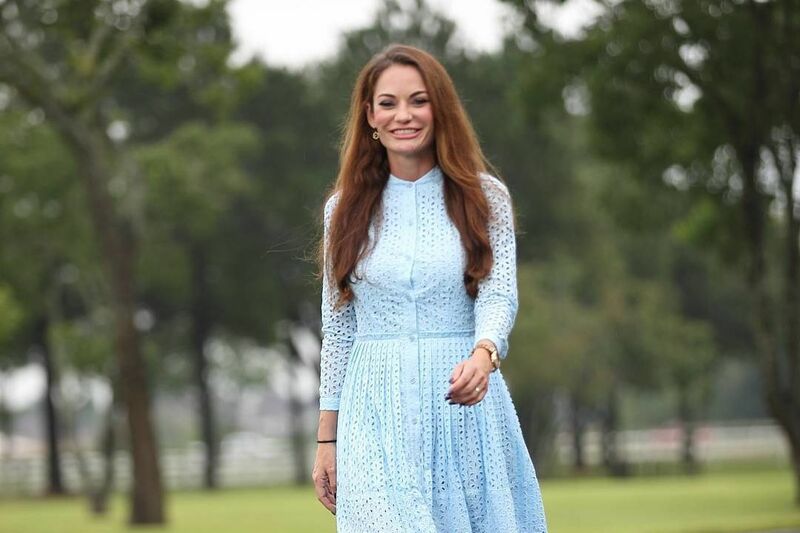 This was not Houstonia's first rodeo with regards to goat yoga, but it was mine. 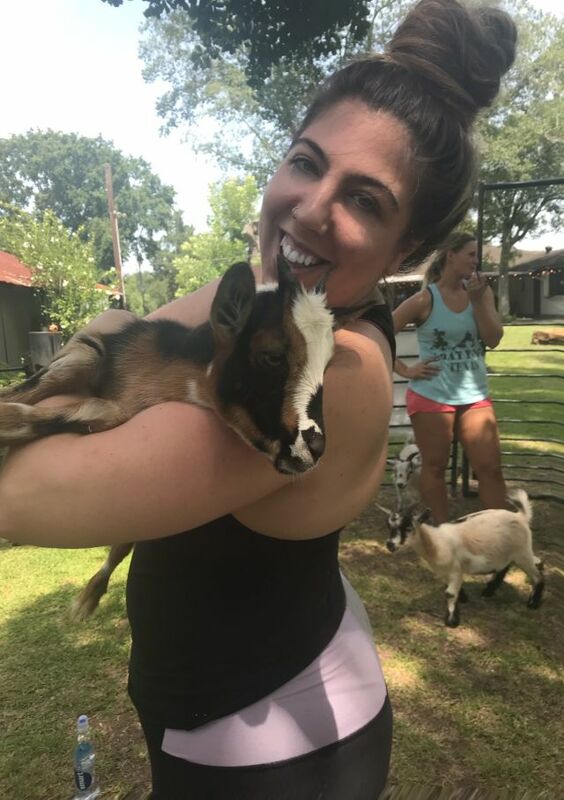 My only expectation for the day was a selfie with a goat (check), but I got so much more—including, later, a seriously good cheeseburger and local beer from Murdoch's Backyard Pub, where Goat Yoga Texas sets up the corral every Saturday (11 a.m.) and Sunday (2 p.m.). 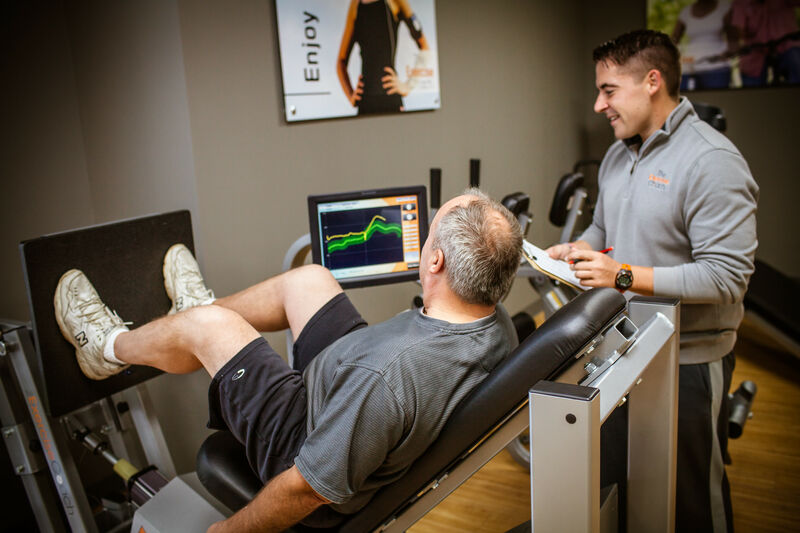 Thinking about trying the fad for yourself? 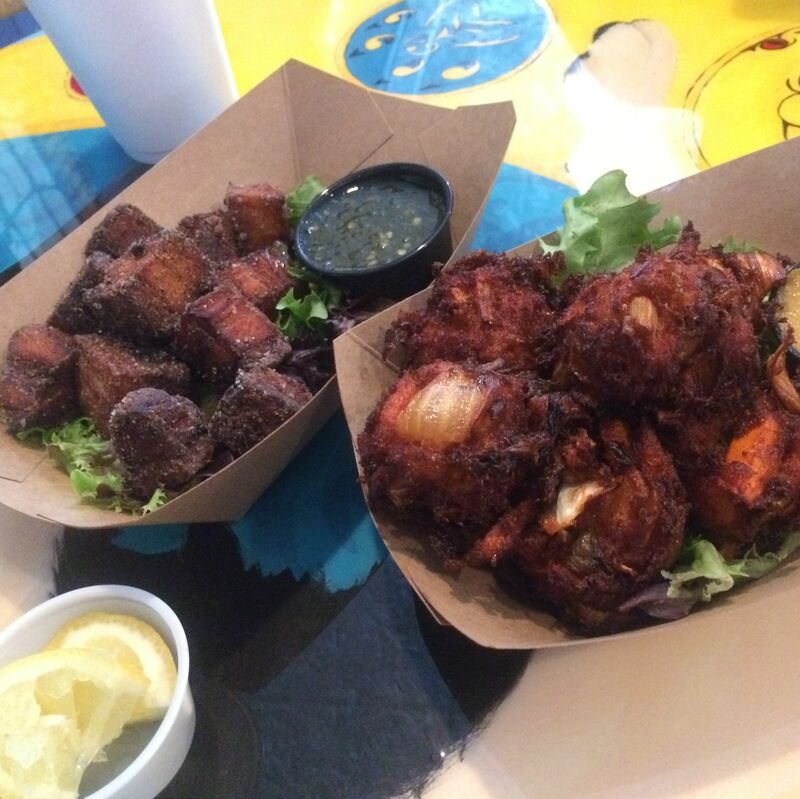 Here are our biggest takeaways. 1. If a goat's gotta go, a goat's gotta go. The aftermath. 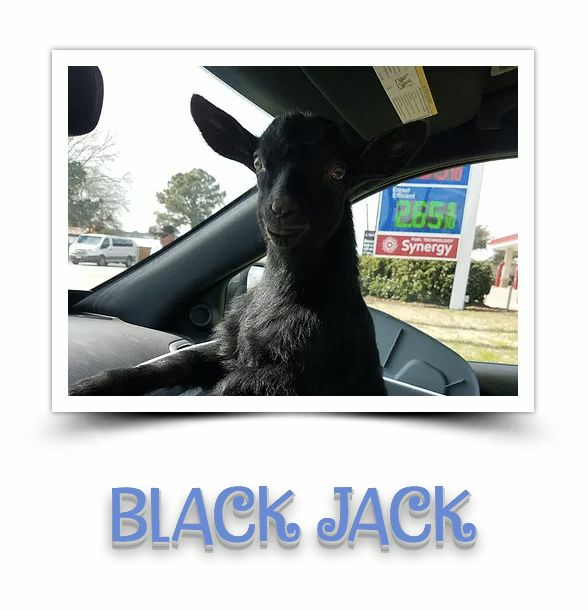 Thanks, Black Jack. 2. Leave your Lululemon at home. In my world, yoga is almost as much about apparel as it is about asanas, and vinyasa is practically synonymous with $98 spandex. Naturally, I donned an all-black Lululemon ensemble, focusing more on the "yoga" than the barnyard term that preceded it. That, as it turns out, was my bad. Sweat, grass, dirt, and maybe some stray goat pellets (who's to say?) all conspired to send my luxe athleisure-wear directly to the hamper. 3. Goats are like puppies. Excrement notwithstanding, I have nothing but good things to say about these goats, which were sweet, docile, cuddly, and overall more chill than expected. As it turns out, goats were one of the first species to be domesticated by humans, about 10,000 years ago in the Fertile Crescent, which explains their comparison to puppies. More recently, they've been used in animal-assisted therapy programs to demonstrably good results. Goat Yoga Texas' herd consists of Nigerian Dwarves and Nigerian/Pygmy mixes, which are miniature breeds that weigh between 25 and 50 pounds when full grown—just enough heft to stand comfortably on your back in tabletop pose. Goats are exceptionally good sports in the 30-minute "cuddle" period post-practice, when they tolerate being pet, held, and infinitely photographed. 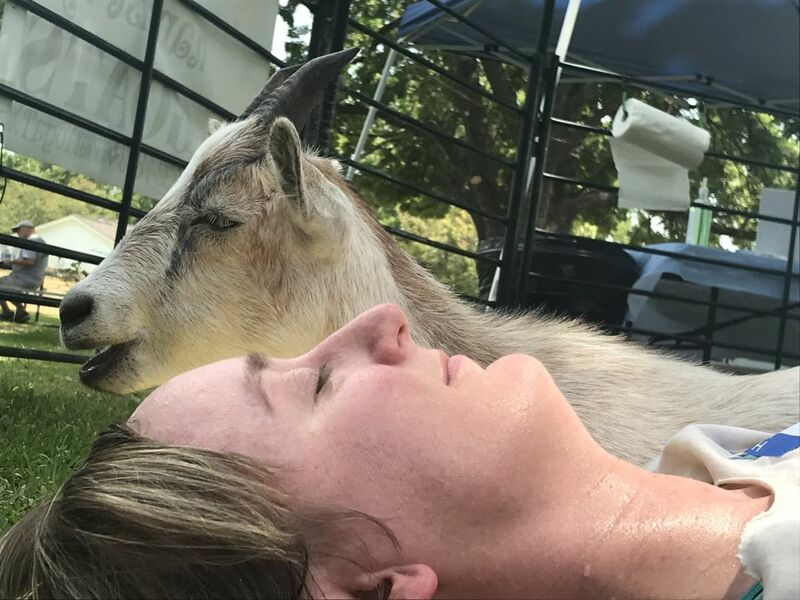 Houstonia associate editor Gwendolyn Knapp takes savasana with a goat. 4. Goat yoga is real yoga, but don't expect an advanced practice. If you're doing anything fitness-related with animals, it's probably more for the novelty than the workout. Which is not to say that this class isn't legit—owner Kimberly Brooke is a bona fide yogi with more than 600 teaching hours, and her goat yoga class is akin to other all-level slow flows. Expect to move through basic poses (like downward dog, scorpion, and cat/cow) and a few sun salutations, then throw (well-behaved) baby goats in the mix. 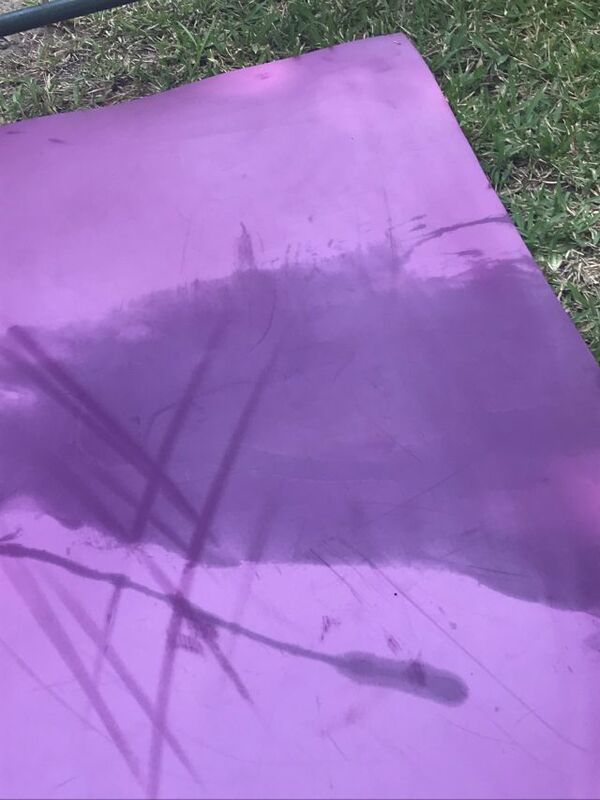 One might curl up at the head of your mat during savasana, as was the case with my colleague Gwendolyn, or you might find the soft, furry belly of a barnyard animal the perfect resting place for your head while you deepen a spinal twist. Post-yoga with a baby goat. Brooke herself wasn't immediately sold on the concept, though. It was 10 years into her yoga practice when friends began reaching out about goat yoga, the weird wellness craze picking up steam in Portland where thousands flocked to sold-out classes. 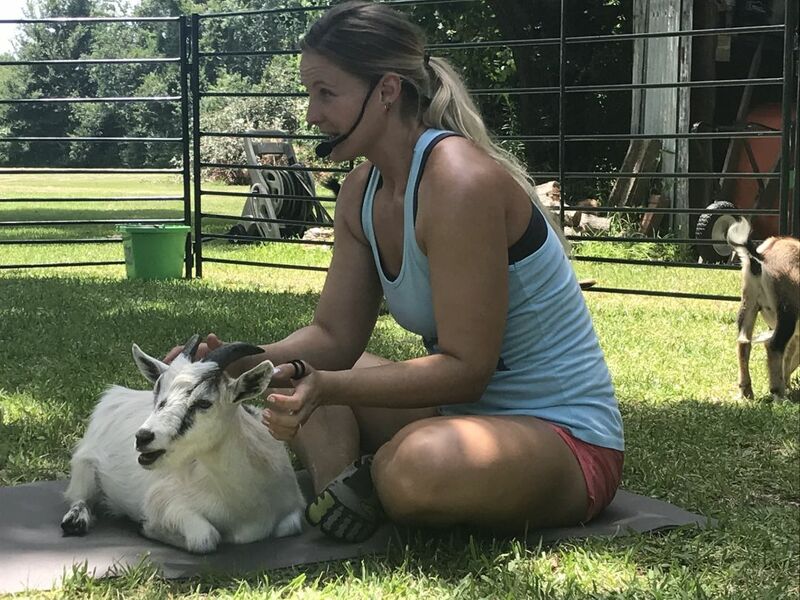 Brooke, already a certified yoga teacher, had recently started raising goats of her own (including a herd of babies rescued from Harvey) on a micro farm with her husband in Magnolia. Unconvinced the phenomenon was "real yoga," she turned her nose up at it until, a few months later, she tried it herself. "The looks on people's faces, the calm that settles in, the belly laughs, and even some tears," her website reads. "Pure emotional releases and tensions letting go after years of binding and holding on." Sold on the benefits of goat yoga, Brooke never looked back. In short, if you're looking to deepen your practice and really commit to your form without running the risk of elbowing a goat in the horns, stick to class in a traditional studio. If, on the other hand, you want to try some basic yoga and spend a sunny weekend afternoon with adorable animals, head out to Cypress. $ American/New American, Pub/Brewery 18541 Mueschke Rd.